I saw this Neal Adams illustration on Facebook the other day, a 1970s piece featuring Conan the Barbarian and Red Sonja on a battlefield. I was certain this had been used on an early issue of the Savage Sword of Conan magazine by Marvel. But after double checking the first few years of that mag, it wasn't there. This piece appeared on the cover of the 1978 Cartoonists and Illustrators Portfolio, published by Supergraphics (Steranko's company). 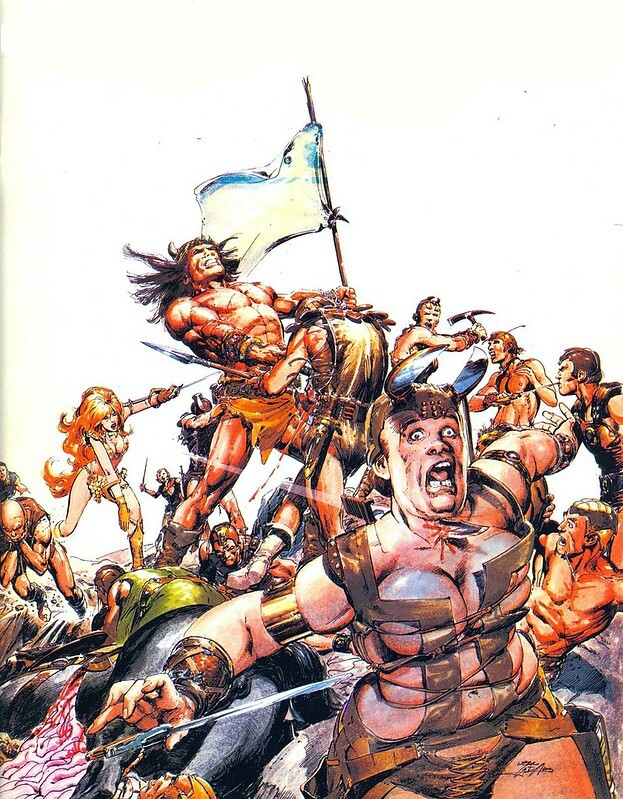 A fine piece, makes me wish we had seen Adams illustrate more Conan comics. Nuff Said!